Canada is dropping an Iranian group that once allied itself with Iraqi dictator Saddam Hussein from its official list of terrorists, but it is adding a branch of Iran's Islamic Revolutionary Guard. Canada is dropping an Iranian group that once allied itself with Iraqi dictator Saddam Hussein from its official list of terrorists. In taking the Mujahedin-e-Khalq, or MEK, off the list, the Conservative government is following the lead of the United States and the European Union. The Tories provided no reasons for delisting the MEK, or for opting to keep 43 others on the list. The Islamic Revolutionary Guard Corps' Qods Force, the secret branch of Iran's Islamic Revolutionary Guard Corps, was also added to the roster. The MEK, once an armed faction, now says it wants to replace Tehran's clerical regime with a secular government through peaceful means. 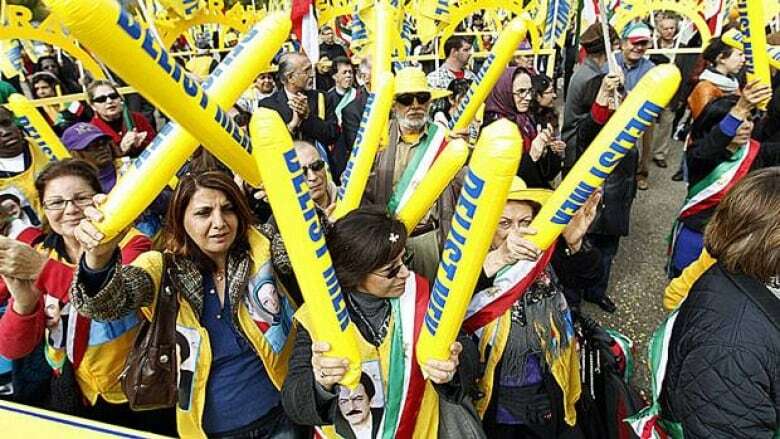 In delisting the MEK in September, the United States noted the group had not engaged in terrorism for more than a decade. Any person or group on Canada's terrorist list may have their assets seized, and there are criminal penalties for assisting listed entities with the aim of helping them carry out extremist activities.